Investigation into this incident continues. Investigators learned that four male subjects including the victim (Hein) were in a vehicle parked in a driveway on Roberts Avenue in Poultney. 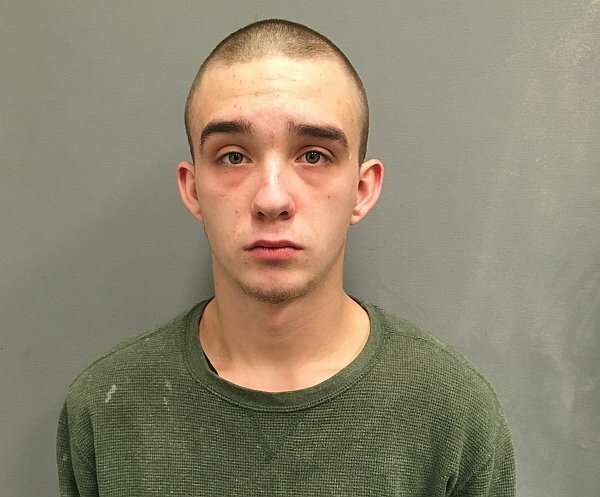 Investigation has shown that William Bailey (19), Poultney, was one of the vehicle occupants and was responsible for shooting Hein with a semi automatic handgun. Bailey was taken into custody and was charged with manslaughter in the death of Hein. He was lodged on no bail per the Honorable Judge Corsones. The remaining two vehicle occupants had left the scene prior to law enforcement arrival. One of the additional vehicle occupants, Dylan Czarnecki, 21, Poultney, has been located and interviewed. Czarnecki was taken into custody and lodged on probation violations by department of corrections. The last occupant/witness being sought has been identified as Jonathan Testa, 21, of Poultney, who is being sought as a witness in this case. Photo of Testa was released previously.